Denver7 learned the Denver Muslim community raised flags to federal agents in late December that the suspect in the Tuesday night shooting death of a transit security officer was very radicalized, according to an email obtained by Denver7. DENVER – The Denver Muslim community raised flags to federal agents in late December that the suspect in the Tuesday night shooting death of a transit security officer was “very radicalized,” according to an email obtained by Denver7. Texas native Joshua Cummings, 37, is accused of shooting and killing Regional Transportation District security officer Scott Von Lanken Tuesday night near Union Station in downtown Denver. Muslim leaders in Denver on Thursday told Denver7 Cummings had attended an event at an area mosque on Dec. 24 and another open house at the mosque earlier that month, and that several others at the meetings were concerned about his talk and behavior. They were concerned enough that they sent a letter to the U.S. Department of Homeland Security that same day tipping federal agents off about Cummings’ behavior. The letter, which redacts the name of the sender and the mosque at which the event occurred, says that leaders had organized a lunch for reverts, who are converts to Islam. “One person who attended seems to be very radicalized,” the letter states. Homeland Security confirmed to Denver7 it received the email and promptly acted. The letter says that Cummings told authorities he had reverted “three years or so” back and implied his wife was Muslim as well. Travis County, Texas court records show Cummings entered into an “informal marriage” with a woman in 2012 in Austin, where the two were living at the time. “He seems pretty advanced in his path of radicalization,” the letter says. It says that Cummings talked of wanting to “fight now” in the Denver area “to establish the rule of Islam,” and that he quoted from a Quran verse he misinterpreted as meaning one of Islam’s prophets was asked to kill his entire community. “I am hoping to arrange a meeting of one of the stronger/more knowledgeable Imams with him to see if he can be mellowed a bit. But I doubt it would help. He is not listening to reason,” the letter says. It’s still unclear exactly when Cummings converted to Islam. He moved back to his hometown of Pampa in 2015 after spending several years in Austin and was practicing Islam at the time, according to multiple people who were acquaintances of his in town. There, he ran a jiu jitsu academy for at least a year before coming to Denver sometime last fall. Some parents who sent their children to the academy tell Denver7 Cummings suddenly became more extreme in his beliefs late last summer, shortly before he left town. Another martial arts dojo owner told Denver7 Thursday that Cummings' last year in Pampa was a "year from hell." Gray County, Texas Sheriff’s Office authorities said Tuesday they had no record of dealing with Cummings during his latest time in Pampa. The Pampa Police Department directed Denver7 to the FBI’s Dallas office. Statements from his Twitter account show he has at times disparaged police officers. Cummings had been staying at an Englewood motel for some time, and FBI agents were seen conducting an investigation there Wednesday. But the Englewood Police Department said Thursday it had not received any formal complaints from or regarding Cummings for more than four years. Cummings worked for a while under Allied Forces, a temporary agency that partners with Goodwill. In a statement sent to Denver7, a Goodwill spokesperson said Cummings performed tasks at a Goodwill warehouse for a short time but not recently. Cummings was never within a retail store or donation area where he would have any interaction with the public. "Goodwill Industries of Denver is deeply saddened to learn of the shooting death of an RTD Transit Security Officer. Joshua Cummings has never been an employee of Goodwill. Cummings was employed through Allied Forces, a temporary employment agency with which Goodwill partners. As part of his employment with Allied Forces, Cummings performed tasks at a Goodwill warehouse for a short time. At the time of the shooting, Cummings no longer had duties assigned to him at Goodwill. Goodwill Industries of Denver will continue to cooperate with the investigation. Any further questions about Cummings should be directed to The Denver Police Department." Authorities said Thursday they were still trying to determine whether Cummings had become radicalized and allegedly killed Von Lanken specifically because he was in uniform. 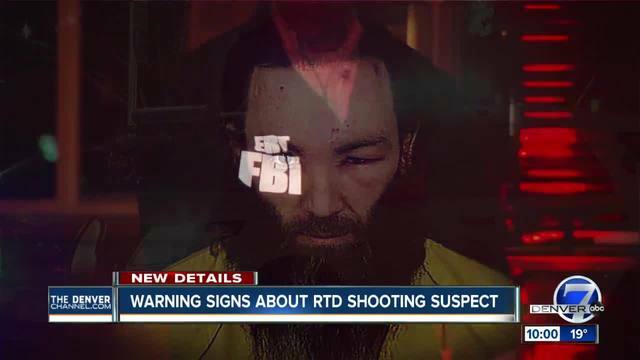 Denver7 has learned federal agents are still working to decide if the case will become a federal case and are still looking into his background. 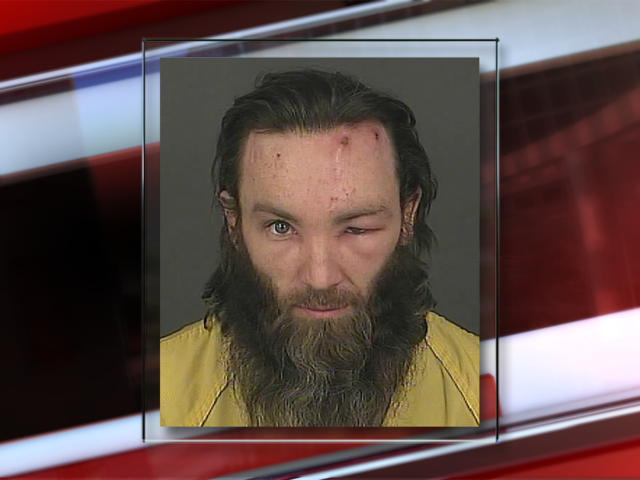 For the time being, Cummings is being held for investigation on first-degree murder charges in Denver. He had been set to appear in court Thursday afternoon to be advised of his charges, but the hearing was rescheduled for Friday morning. "We hope the Colorado community knows that true Muslims abhor such acts of violence and senseless murders. The religion of Islam teaches the importance and sacredness of human life in the Quran. Killing an innocent life is equal to killing the entire humanity unjustly in the eyes of Allah, which will entail appropriate punishment (Quran, 5:32). Whoever denies this commandment may not call themselves a Muslim and/or speak on behalf of Muslims and Islam. Our heart goes out to the family of the slain security guard and we offer our sincerest condolences." Denver7's Marc Stewart and Ryan Luby contributed to this report.